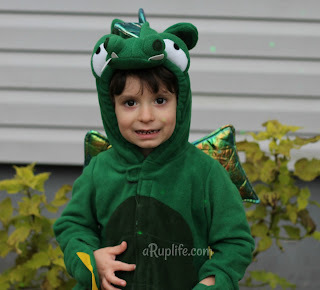 Halloween is just a little over a month away and that is the time we start going into planning mode for costumes in our house. Surprisingly we have one kid all set with things he had around the house to dress up as a favorite Star Wars character and I think a second kid is going to modify last years (Star Wars, again) costume. That leaves my two little ones. J-man wants to go as a pokemon and I think that he will be wearing his Pikachu pajamas. That leaves me with the littlest one to decide on. He is either going to be an Octonaut or someone from Star Wars (go, figure) because those are his two favorite things at the moment. 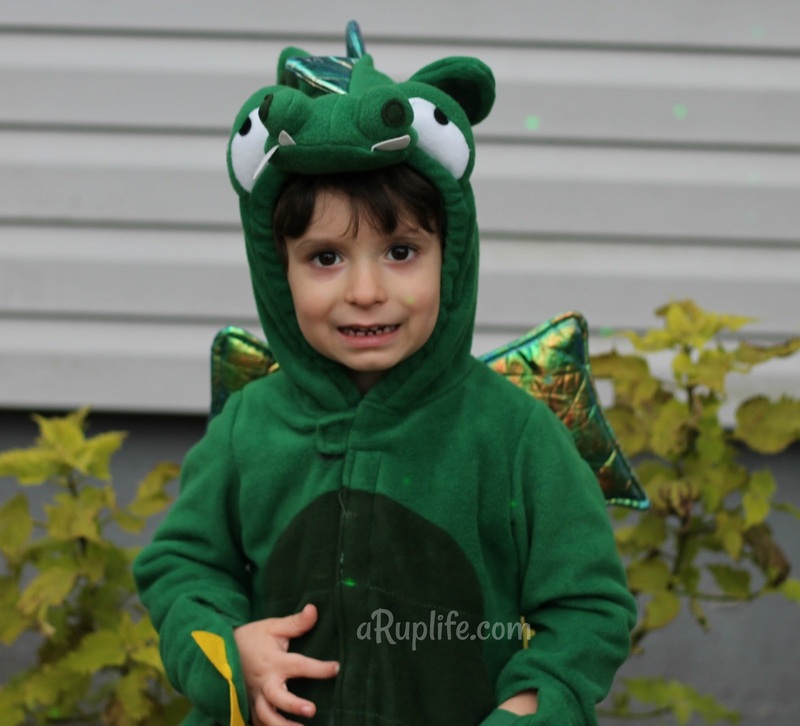 We have a few rules when deciding on costumes in our house. We don't do anything scary or gory. No masks that cover your faces. 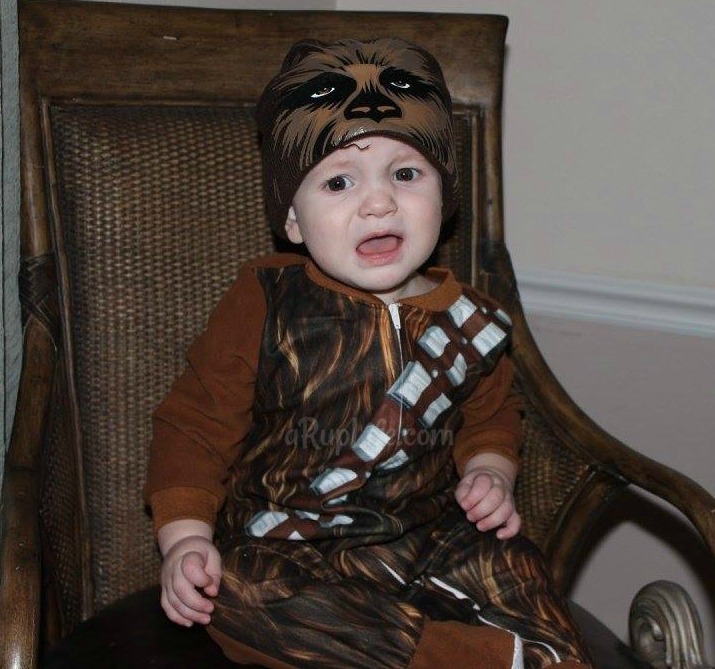 The last rule is you have to be comfortable and able to walk in your costume. In Pug & Pig Trick-or-Treat we meet up with best friends Pug & Pig. They are all ready to celebrate Halloween. Pig is thrilled with her skeleton costume but Pug is not. He is so uncomfortable and cannot wear it. The two have to come up with a solution so the holiday doesn't get ruined. Having two children with Sensory Processing Disorder this book spoke volumes to me. We've had to deal with itchy clothes, too tight clothes, the wrong color clothes ... my kid can totally relate to Pug! It was nice to have a story that shares his feelings. I love that the two friends find away to work out the problem and make each of them happy along the way. This is a wonderful addition to our October Read Alouds. 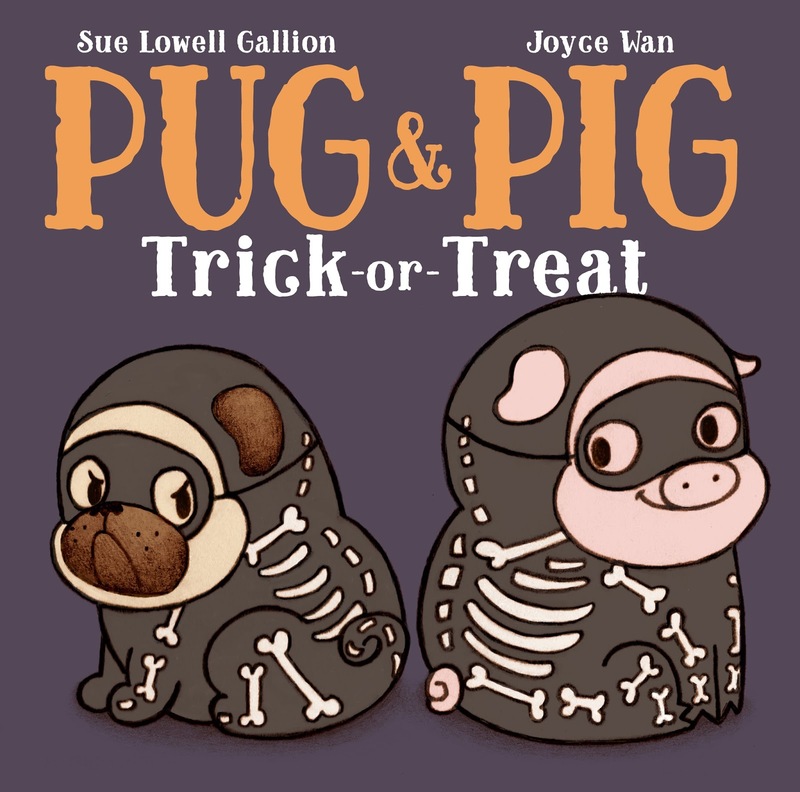 Sue Lowell Gallion is the author of Pug Meets Pig and Pug & Pig Trick-or-Treat (Simon & Schuster/Beach Lane Books). She has two grown-up kids, one grandson, and a black lab mix named Tucker, who all provide writing inspiration. As a printer's daughter, she has a life-long love of type, paper, and the aroma of ink. She lives in Kansas City, KS. Visit Sue at suegallion.com and follow on Twitter. 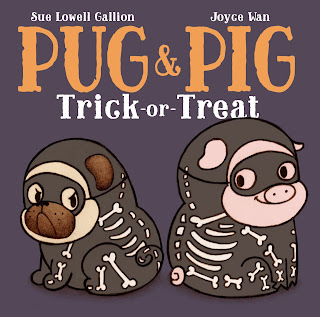 One lucky winner will receive a copy of Pug & Pig Treat-or-Treat!